The contents of these Easter chocolates is just as exclusive as its packaging: two dark chocolates promise peak chocolate enjoyment and are sure to make the hearts of real connoisseurs beat faster. This cocoa rarity from Guatemala is characterized by a high Criollo content. In the Zotter chocolate factory, it is transformed into a dark chocolate with 75% cocoa content. This cacao Blanco with white beans thrives in the highlands and has a very fruity aroma. 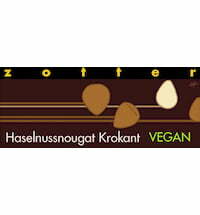 Zotter produces a dark chocolate with 72% cocoa content and notes of roses, bananas, citrus fruits and mangoes. Original chocolate with cocoa beans from Peru. Questions & Answers about Zotter Schokoladen The Name is Bunny, Easter Bunny.